Meet our incredibly strong and inspiring Miracle Kids! 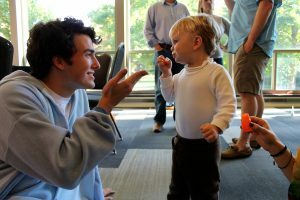 Many of our dancers and committee members would agree that getting the opportunity to interact with these kiddos and experiencing the positive light they bring to the room is one of the best parts of being involved with Vanderbilt University Dance Marathon. Click on a name in the dropdown menu to learn more about each of our kids!